A heart-wrenching tale of a family ruthlessly torn apart by society and yet intrinsically linked by fate, Blood Brothers has evolved into a classic modern British musical. Packed with strong characters, a clear purpose and an emotionally charged score, its hard-hitting social themes and doomed inevitability of death place it amongst the grandest of tales. But the story of Mickey and Eddie, the titular brothers, is unique. Willy Russell's script looks through the lens of two Liverpudlian families. Smartly constructed, it ensures that the audience simply cannot avoid the big questions that he wants them to think about. What defines a mother? What makes a friendship? And nature vs nurture - to what degree do people really have a hand in determining their paths in life? And it’s not just the script – Russell’s lyrics too offer neat conceits that make us laugh and cry and are never pretentious. The concept of destiny is present from beginning to end. It is both artificially constructed - through the choices that certain characters make - but also, inevitably, through society. Kris Harding's Narrator with his stellar voice beautifully captures the sense of foreboding and growing desperation as the story arcs towards its tragic denouement. Lyn Paul, playing Mrs Johnstone, is outstanding as the brothers' mother with each of her successive heartbreaks cutting to the core of the audience. As an actor, she captures every nuanced emotion perfectly and with ease. As a singer, Paul's performance is flawless. Sean Jones is also a joy to watch with his portrayal of Mickey Johnstone’s evolution, from child to man being brilliant and clever. The set (Andy Walmsley) is subtle – complementing the company’s performance by sitting contently in the background. Russell’s music captures the retro feel of the 60s and 70s, although at several points the reverb overpowers, masking the sung lyrics. 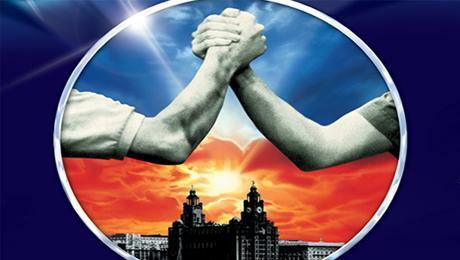 Blood Brothers reduces the audience to tears, then brings them to their feet in a well deserved standing ovation.